Boston Tennis Club members helped the Lincolnshire Girls’s 18 and under team claim promotion in the LTA County Cup competition at the weekend. The team, including Victoria Beardsley, Charlotte Priestley, Lucy Hull and Alice Gamman, played in Group Five of the tournament, held at Taunton, Somerset. The long journey was worth it for, after the three days of competition, Lincolnshire had won 7-2 against Suffolk, 9-0 versus Cornwall and 5-2 over Gloucestershire. The clean sweep means promotion to Group Four next year. The Lincolnshire Boys’s 18 and under team, includingMatthew Gedney, Lucas East and Marcus Witt, were relegated following Group Four defeats to Gloucestershire, Berkshire and Cumbria at Grantham. Boston Men’s Firsts and Seconds met in the Winter League. The Firsts’s Ray Frankish, Jeremy George-Jones, James Newton and Owen Jary won 7-1 against the Seconds’s John Gibson, Anthony Hulley, Larry Churchward and Gary Fitzjohn. Boston Ladies’s Fourths claimed the Division Four title by beating Horncastle Seconds 6-2. The team was Hilda Hastings, Jenny Murphy, Lesley Gibbons and Gill Bell. 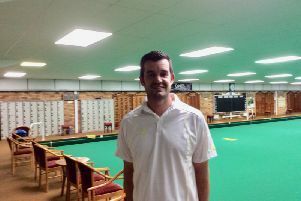 In the Boston and District Winter League, Boston B’s Andy Clamp, Gary Fitzjohn, Sev Smura and Richard Tupper beat Woodhall. In the Lindum Lincolnshire Mini Tennis Indoor League, Boston Green C – Antoni Chmielik and Finley Houghton - lost out narrowly 1-2 to Grantham A but beat Eastgate 2 in a 2-1 win.